A review and meta-analysis of randomized controlled trials looked at the relationship between compounds called catechins in green tea and serum lipid levels. Twenty trials were assessed and the results showed that Green Tea Catechins in doses ranging from 145 to 3000 mg taken daily for 3 to 24 weeks reduced total and LDL cholesterol levels. HDL and Triglyceride levels were not affected. 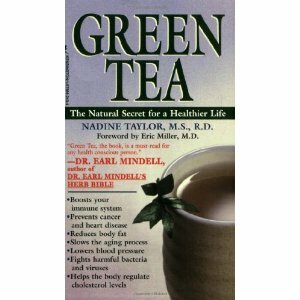 Note that the average cup of green tea contains 100 mg. of catechins. So to get to 3000 mg you'll be drinking a lot of tea! Supplements are available. Use flow-through tea bags instead of flat tea bags, so the water can easily circulate through the leaves and the catechins can be released efficiently. Use purified water, as the chlorine in tap water degrades the catechins and destroys the subtle flavor of green tea. Avoid tea kettles made of metal alloys containing iron since iron lowers the antioxidant of activity of catechins.1 Kettles made of high-grade stainless steel, nickel-plated metal alloys, copper, polypropylene plastic, lead-free porcelain or glass are best. Don’t put the tea leaves in water and then microwave them. This will “overcook” them and destroy some of the catechins. Keep your tea in an airtight container, even if it comes in pre-packaged bags. This will keep the tea leaves fresher and help preserve the catechins.